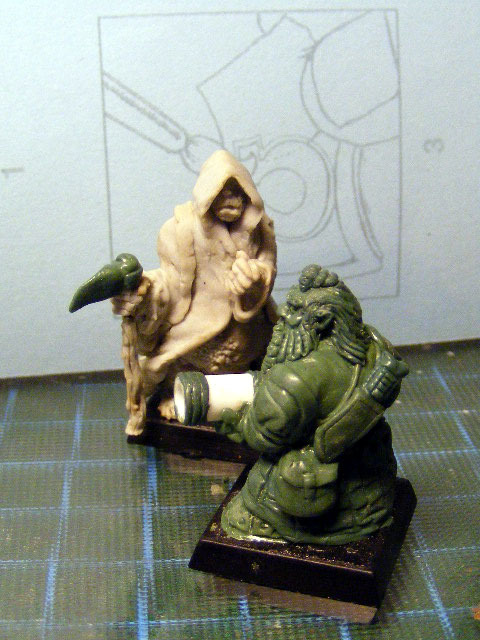 at time i dont have a plan to bring the pic's direct at the forum , you must look at my blog:http://dooddminiatures.blogspot.com/ . norse: berserker1 is handcase whitemetall + 2 alternativ weapon conversion, the other norse is a bad case and only a try. 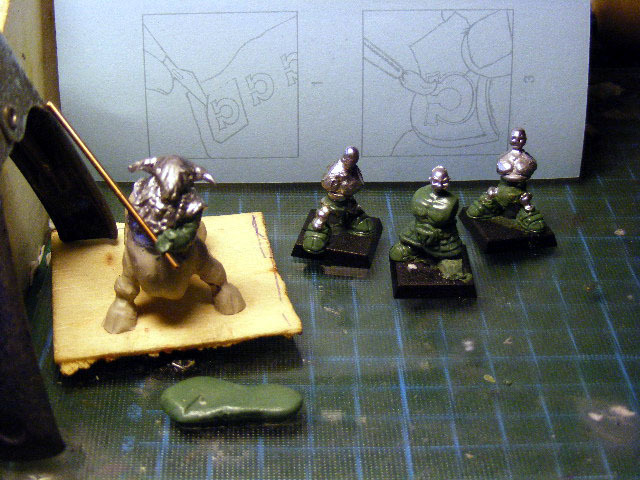 dawi-zharr: hancase bodys (2007) rest fimo, sorcerer & engineer, next time i over work the bobys (beart, skulls and feet). 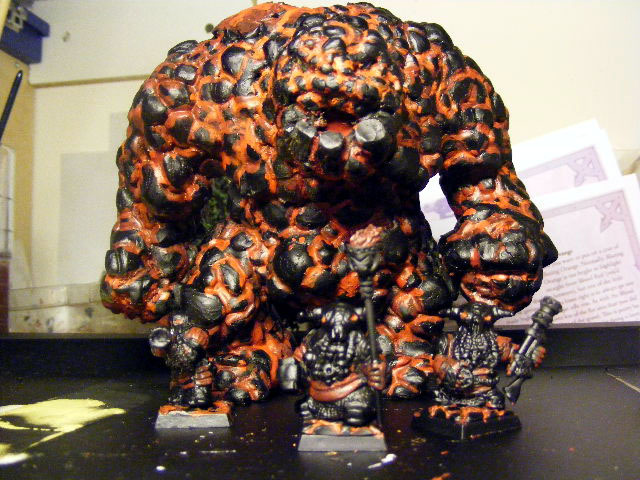 lava-giant 2007, fimo. 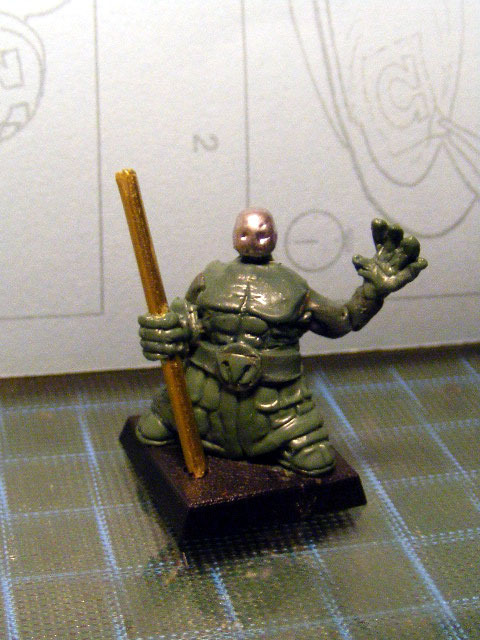 standart i work with fimo only oger or bigger but this year i was a lazybone , yersterday i buy greenstuff & magic sculp . They ALL are exceptionally well done pieces. 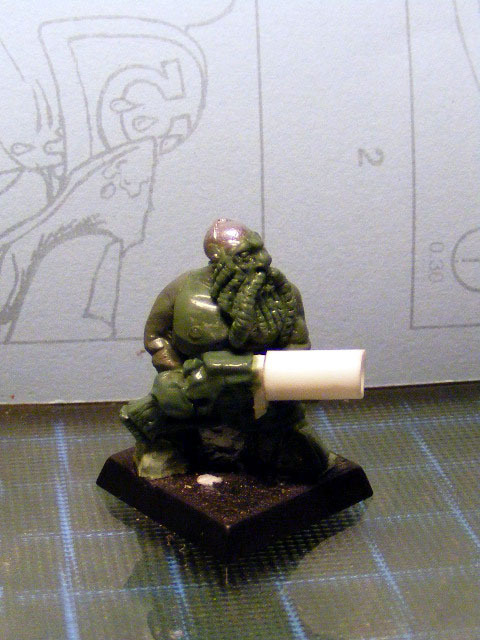 I LOVE that 30mm Zombie you created; that ABSOLUTELY ROCKS! Thanks MUCHO for the link! here pic' of my new w.i.p's ! now i try send pic's in the forum, i cant look at the blog! VERY, VERY STRANGE, BUT VERY COOL STUFF! My main & possibly only attribute is a strong sense of the absurd; i.e., I'm a VERY STRANGE, BUT COOL Old Guy. As such, your wonderful creations have a TREMENDOUS appeal for moi. 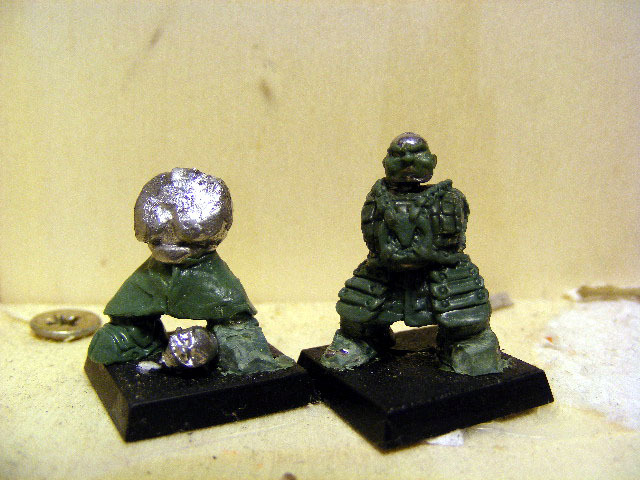 They are SO delightfully bizzarre; they'd be fine opponents for my Ubergoblin/Night Goblin Hooligans. FANTASTIC WORK! Please keep going if only to make an Old Dude happy! Very unique minis. McFarlane(sp?) meets Dark Tower series. Very interested to see these take more shape. @all, much thx, i (& mr.langscheidt) answer at mo. later, at time little stress. 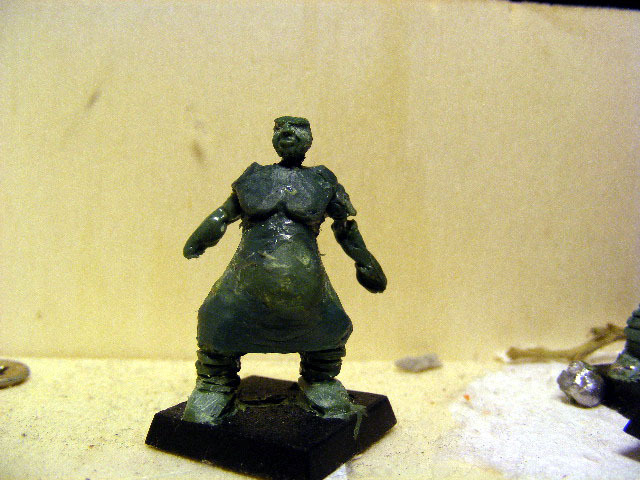 sry, norse must wait, was a little fimo-snack and a nice idee for later (but there must all bigger). dawi-zharr: yeeah, my newold love, my 2007 cz are to big and i make all new. MORE WORKS OF WONDER in the works. Thanks for the post; it fuels my enthusiasm. The bullcentaur looks really interesting, im looking forward to see some more. 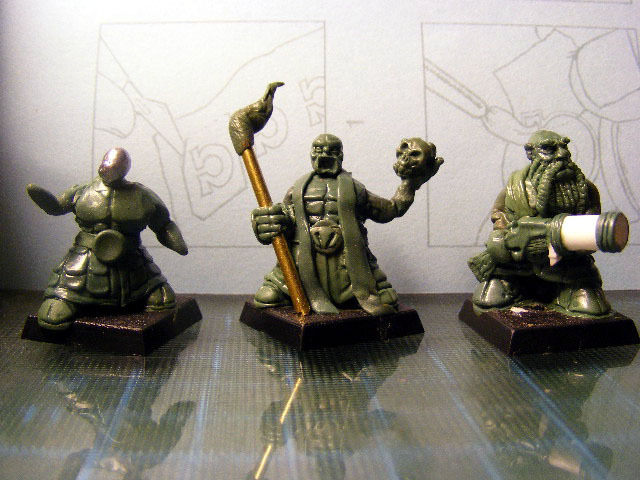 @DeafNala, thx for your coments , make me proud & give me power to make more sick miniatures . Wow, that dwarf head looks really great! Very cool! OH MY GOD! Those are ALL SO cool! 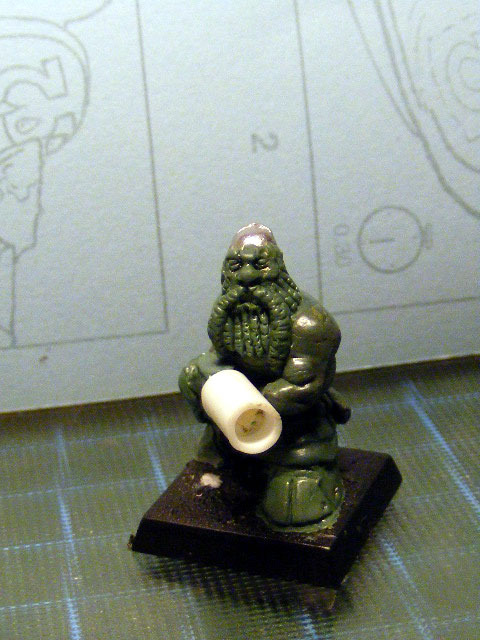 I LOVE the little Guys with the BIG feet, & the Dwarves are TERRIFIC pieces, but the Big Lava Guy IS STUPENDOUS. Nice to see your brush wielding skills also. Another HARDY WEEL DONE! Your GS abilities are superb! As well as your lava elemental goliath, is AWESOME! Very impressive stuff. 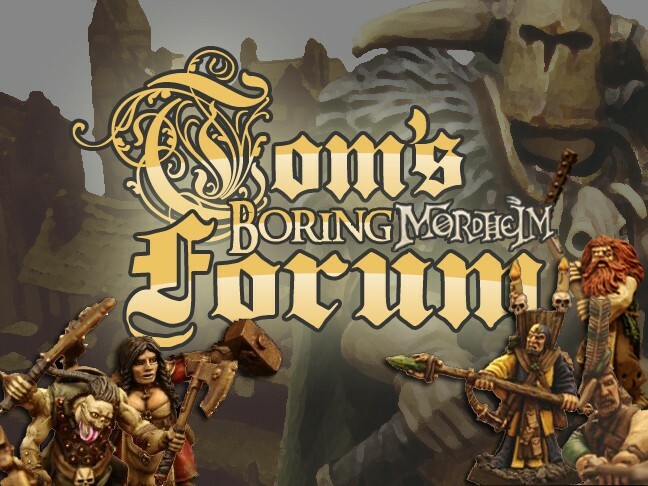 I am quite interested by the bull centaur and I love that last pic of the chaos dwarf. 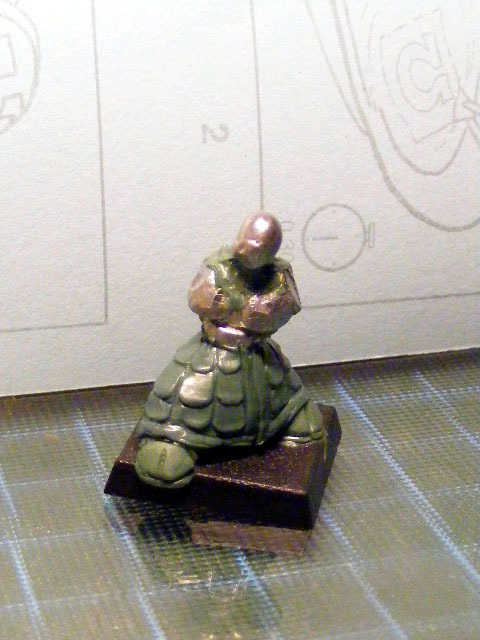 warband go ahead & (no pic) golem second orange step, ready now i go to yellow & white. That is one heck of a blunderbuss! Awesome! 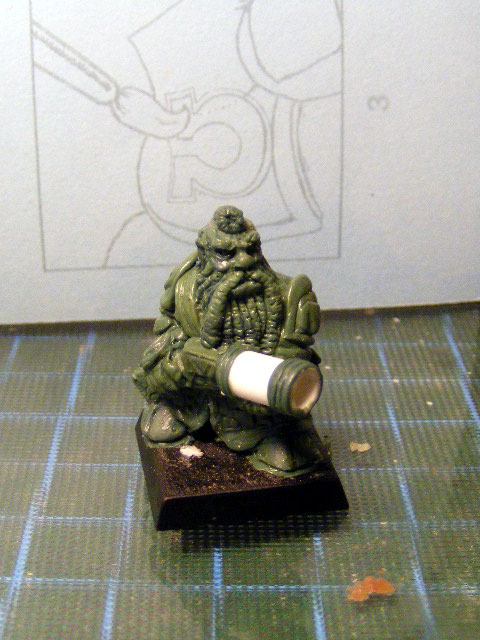 A bit like the Empire grenade launcher actually. They shape up really nicely! Großartig! VERY NICE! The Vertically Challenged Evil Ones are coming along quite well. WELL DONE!  They starting to look cooler and cooler, I really love the thunderer guy, he looks grumpy! 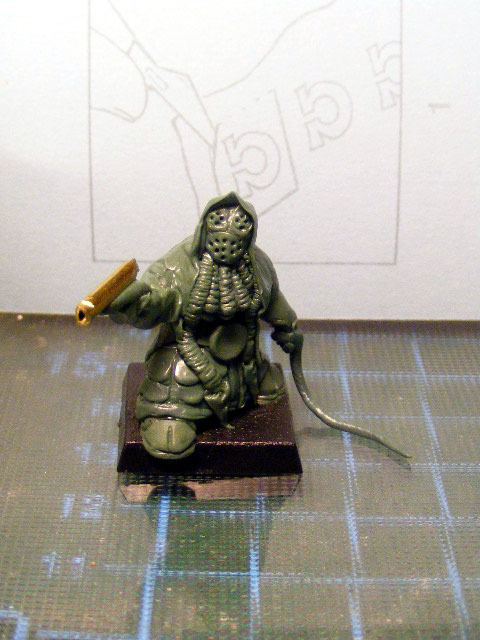 warband go ahead: cd promoted to gaoler, he is to big for a standant cd. here come the pic's, 1 gaoler speak with informer. I am green with envy at your greenstuff skills. Your dwarves are starting to look meaner and meaner! 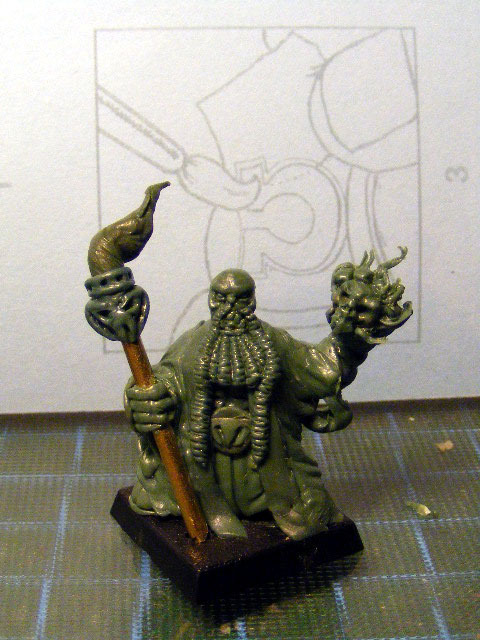 I like the flaming skull, I gave mine sorcerer also a flaming skull, it just looks cool if a wizard guy looks like he is casting a nasty spell. And are going to give them tusks? Really, these fellows are looking so good. Love the CD with the mask and whip - that is awesome. I might have to start investing in Green Stuff.... Very Nice!! !